Reservations can also be made by calling Bentwater Country Club - 936-597-6219. Deadline for making reservations is Saturday, April 27. Our golf tournament website is now up and running. Click here for information and to sign up for sponsorships and golf teams. We have early bird specials! We had a special monthly general meeting on Monday, February 4 at Hodge Podge Lodge in Montgomery (not our regular Wednesday date and not our usual meeting site). Lt. Govenor Dan Patrick, Congressman Kevin Brady, State Sen. Brandon Creighton and State Sen. Will Metcalf were our guest speakers. See more photos on the Photos page. 2019 Officers Sworn in at December meeting. ​Officers for 2019 are Kim Greene, President; Sarah Tillman, 1st Vice President; Christy Tatum, 2nd Vice President; Jacque Lookabaugh, 3rd Vice President; Leigh Billingsley, Treasurer; and Ann South, Recording Secretary. Republican Party of Texas Convention in San Antonio - NSRW was well represented! We also had three honorees for Texas Federation of Republican Women's "Tribute to Women" award (in photo: Stephanie Collins, Diana Green, Kim Greene). 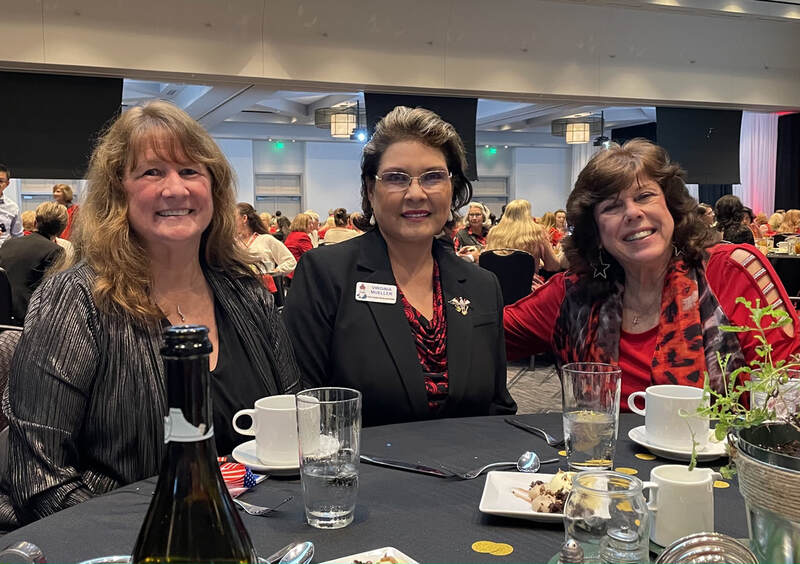 North Shore Republican Women was awarded the Texas Federation of Republican Women John Goodwin Tower Award of Excellence during the TFRW Convention in Dallas October 19-21. The award recognizes the achievements of winning clubs during 2016-2017. The NSRW Beacon newsletter won the "Best Newsletter" Award for Jumbo Clubs during the convention as well. The editor of the newsletter is NSRW member Ann Kate. Jacque Lookabaugh, NSRW Literacy Chairman, delivered U.S. Constitution booklets to all fifth grade students in Willis ISD elementary schools September 25. The teachers use the booklets to teach and the students can take them home. North Shore Republican Women meets the first Wednesday of the month (no meetings in July and August) at Bentwater Country Club (unless otherwise announced), 800 Bentwater Dr., Montgomery, TX 77356 (between Willis and Montgomery off of Hwy 1097) (map). Sign-in starts at 10:45 a.m. with the meeting beginning at 11:00 a.m. Lunch is served at approximately 11:30 a.m., with the program at noon. Meetings last until approximately 1:00 p.m. Lunch is optional, but reservations must be made by filling in the RSVP form on this page. There occasionally are night meetings or date changes, so check this website for times and locations each month.